Up until that fateful day, April 12, 1961, Gagarin’s life differed very little from the normal life of young Soviet men born in the post-war years: School, college or technical institute, perhaps a military school. 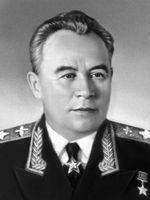 Yury was born near, and had gone to school in, the town of Gzhatsk (now renamed “Gagarin”) in the Smolensk region. 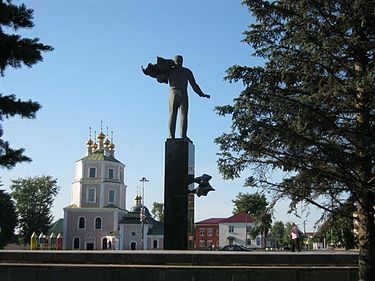 Gzhatsk itself has an interesting history: Under the Tsars Peter the Great and Catherine the Great it had a special status as a “staging area” or “landing zone” where grain was loaded onto barges for shipment along the Gzhat River to Moscow. Little did this town know, that some centuries in the future, its most famous son was to embark on a space-barge and travel a good deal farther than Moscow! After finishing Middle School in Gzhatsk, Yury attended several technical institutions, learning various trades. In the city of Chkalov (Orenburg) he attended military pilot school and rose to the rank of Lieutenant. Still nothing that unusual. But then everything changed on March 7, 1960. 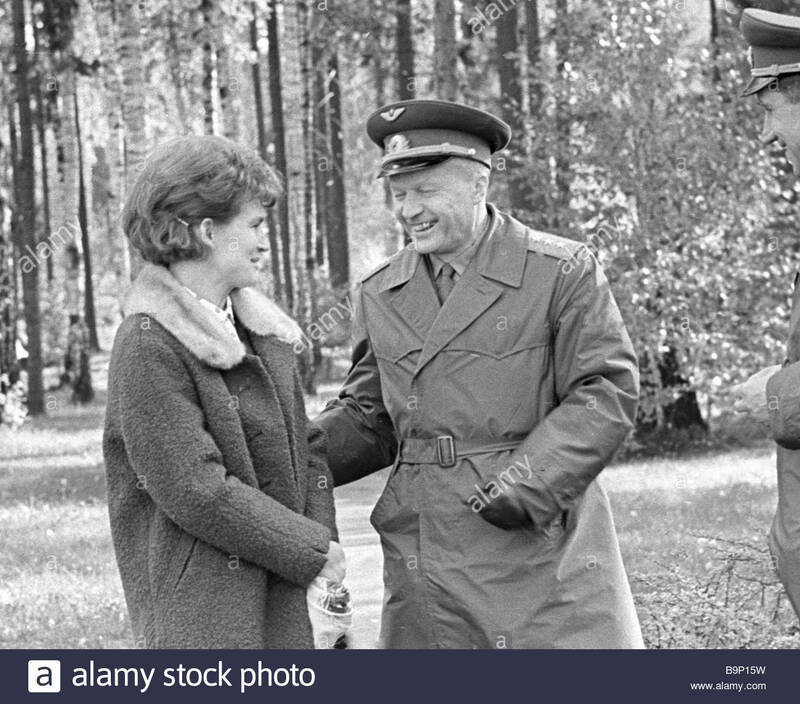 On that day, Marshal of Soviet Aviation, Konstantin Andreevich Vershinin ordered fighter-pilot Yury Gagarin to enlist in the Cosmonaut Training Center. One thing led to another: Yury Gagarin was picked to be the world’s first human being to leave the Earth’s gravity and fly into space. Gagarin possessed the necessary traits: Unquestioning patriotism. An unshakable faith in the success of the mission. Splendid health. Incurable optimism. Flexibility of thought and a healthy curiosity. Boldness and decisiveness. Accuracy. Great work ethic. Self-control. Simplicity. Modesty. A great human warmth of personality, and attentiveness to the people around him. Those are the undisputed Gagarinesque characteristics. It was precisely this type of man who was required for the first flight, according to the Cosmonaut Training Center Director, Evgeny Anatolievich Karpov. 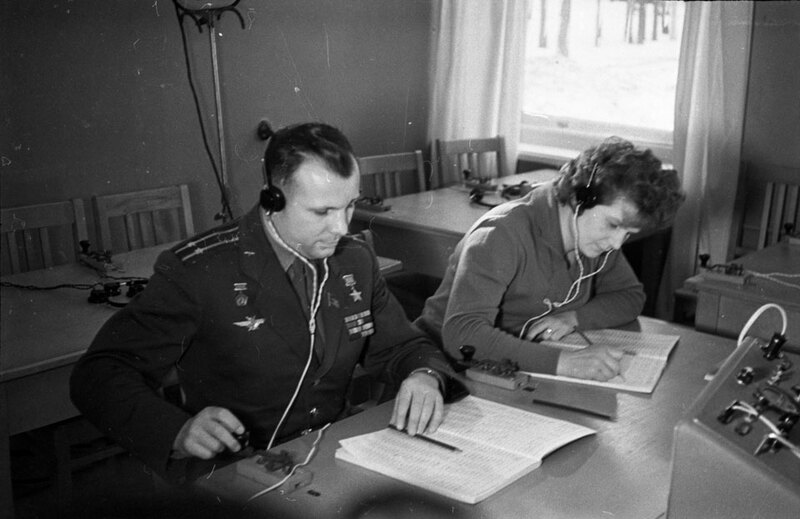 Future cosmonauts Gagarin and Tereshkova receive training in radio communications. On April 5, 1961, Nikolai Petrovich Kamanin, organizer and manager of the cosmonaut training, wrote in his diary: “So, who is it to be? Gagarin or Titov? I have a few days to make this final decision. It is difficult to decide, which one [of these two men] to send to certain death; and equally difficult to decide, which of these equally worthy men to turn into a world celebrity, immortalizing his name throughout all of world history.” Lordy, what a keen and perceptive remark! And so prophetic, but fortunately only for the second clause. On April 9 Kamanin called Gagarin and Titov into his office. He informed them of his decision. Gagarin was overjoyed. Titov frowned and took offense. Not everybody was thrilled with Gagarin’s success. The Americans were quite peeved, they couldn’t believe that the Soviets had beat them into space. “This is a national scandal,” wrote the New York Post. Indeed, but the world has seen the worm turn several times since then. Next: From the Titans of yesteryear to the Pygmies of today: Where did the Russian space program go wrong? This entry was posted in Russian History, Space, Science and Technology and tagged Dmitry Rogozin, Evgeny Karpov, Konstantin Vershinin, Nikolai Kamanin, Yury Gagarin. Bookmark the permalink.